Stunning is the same word that came to my mind Ramos. Paint some little black leaf patterns on them and they'd be perfect for my Mantis Warriors... just sayin. Those Dreads turned out amazing! 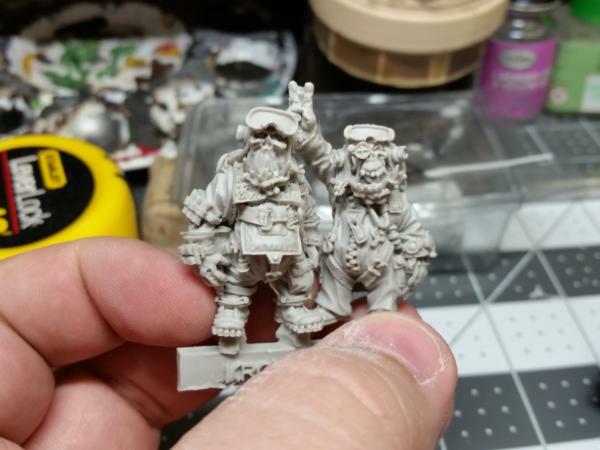 I look forward to seeing them in person at Adepticon. Beautiful, as others have said. My favourite bit, oddly, is the edges of the shoulder pads. The lighting and contrast on them is just perfection. @Knightley: HEY! You watch your darn mouth with those epithets! Thanks a ton for the compliments. Very glad you like! @Zerg: Alas! These aren't mine!! These guys are destined for another person's army. Still totally on board to running into you at AC- Hopefully gonna get a couple games in with the Wardens, so should have a lot of minis hanging out! @Graven: Thanks! I'm really happy I changed the shoulders to black... Really does balance nicely with the big curving plates on the upper "shoulders". Very happy with how they all turned out. Should make for some perfect centerpieces to the final army! Just about all built up and ready to paint. 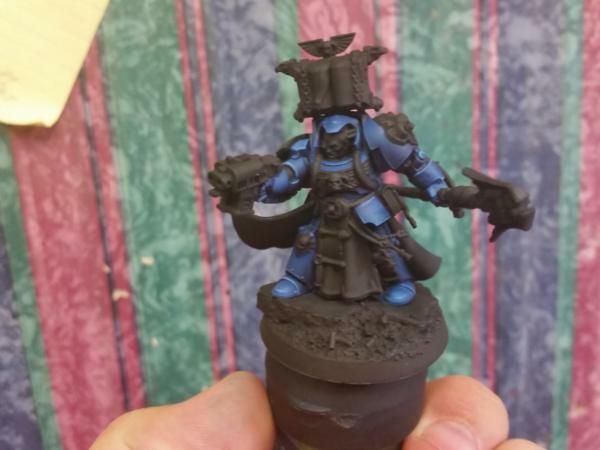 I think I'm only going to be able to do a quick metal coat, though. I want this to be a competition entry in the future, so big murals on all the armor. At the very least, it'll be playable for the Knight Fight!! This week should be considerably quieter. hoping to nail down a few projects, including a rebasing mini-project for a good friend that has been legendarily patient with my screwed up schedule! Ooooh hell yeah! a Knight Profiterole :-) is it yellow?? huh huh? is it? 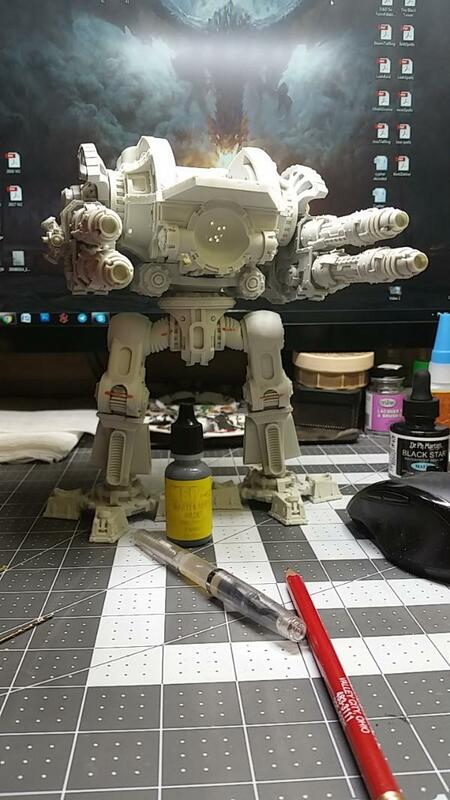 Looking forward to seeing this particular miniature come together.... and I expect Tranquility Pattern camo on it as recompense for not putting it on those other miniatures. Very Nice. I'm assuming you can somewhat unassemble it to paint? @SL: Yes indeed! Main body is the only thing glued. Arms are pinned/magneted and the "lid" comes on and off easily. I regret to say that only a little of my stuff will have color on it (Probably only a couple of the marines D: ), but I just ran out of time... I way way overloaded myself between this and normal work! Hope that it's still ok to play with you guys! Welcome to Sun-depticon number 4, the GRAY UPDATE! As Adepticon draws closer, I do my best to have some new stuff to play with. I need to learn 8th edition as well as participate in the Knight Fight! 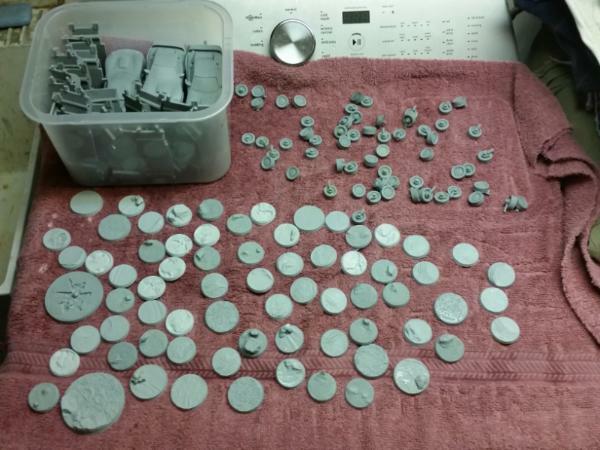 So this week has been a TON of assembly, including a bunch of Mk 4 marines with some Kromlech bitz. Mostly some cybernetic legs and heavy flamers. I also got some sweet looking jump-packs! 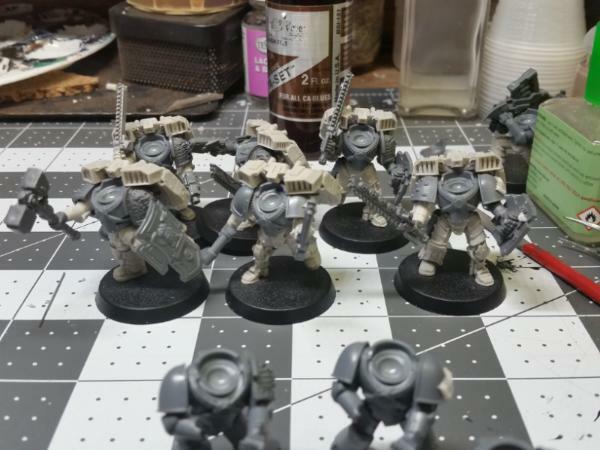 After years in storage, my Mk2 Breacher squad is assembled- Still have to sculpt up their left arms to have the right bracers. A little detail, but one I definitely want to take care of!! 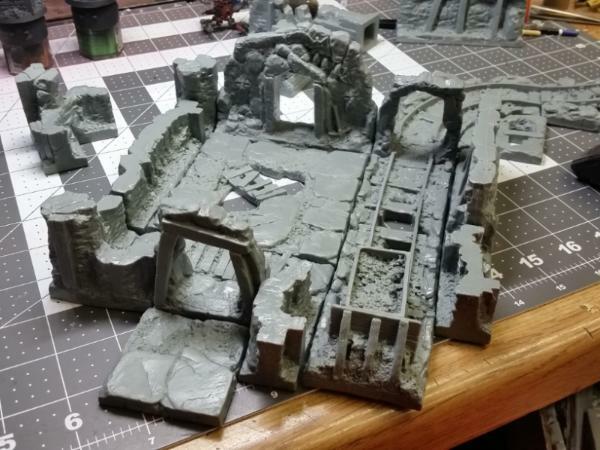 And lastly, while I was cleaning the Kromlech stuff I prepped an eventual diorama I want to paint up... These two minis just go together, eh? Next time on Sun-depticon... ZERO HOUR! Whats the thing on their should pads? Doesn't look like the chapter logo, but maybe it's just the angle. 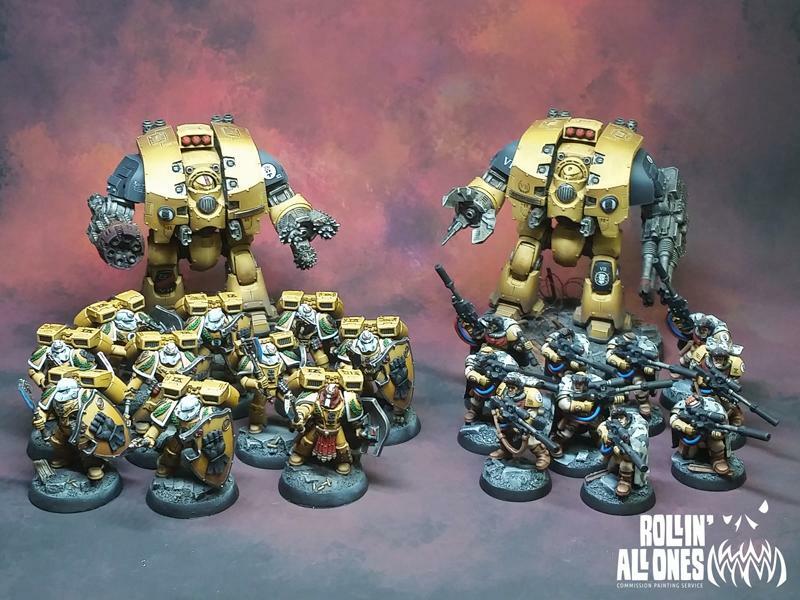 My IF client uses them for his army, and wouldnt ya know it, the guy also had them for my weird chapter! They're actually really nice. 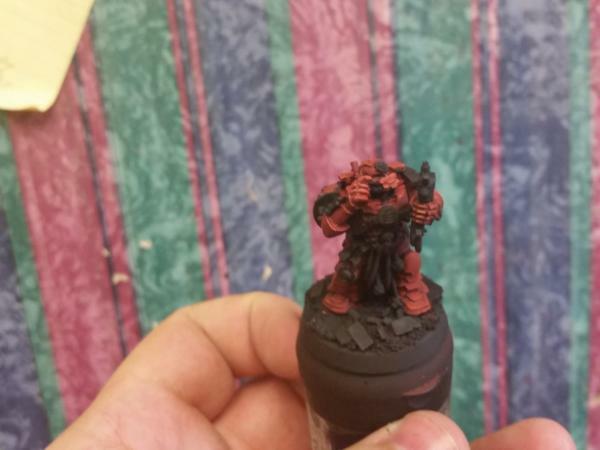 No 3d print marks, nice and smooth, and they fit right onto the shoulders of regular marines with little issue. Adds a nice bit of detail without overpowering the model. 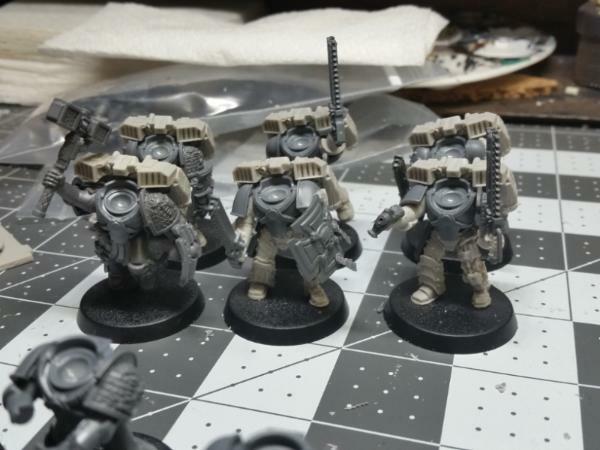 And then there are of course several marines with a Deathwatch pad. 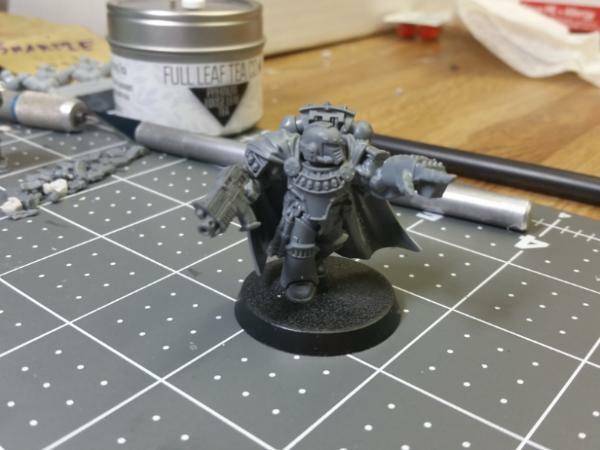 As to the lore, the Marines Errant are said to have an unusually high number of marines returned from the deathwatch. Its so much easier to get these things now, its crazy! Nice, I was wondering if thats what it was. Talked with the designer at A-con last year, super nice dude. He had to pull a ton of things off the site though, they were to GW-y. Glad your icon made it. 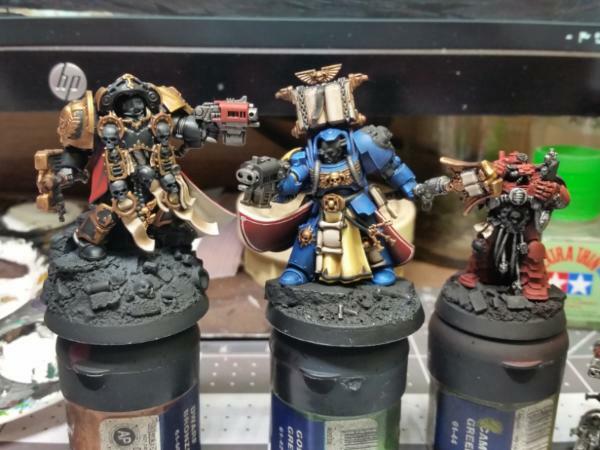 Are you painting all that for Adepticon? 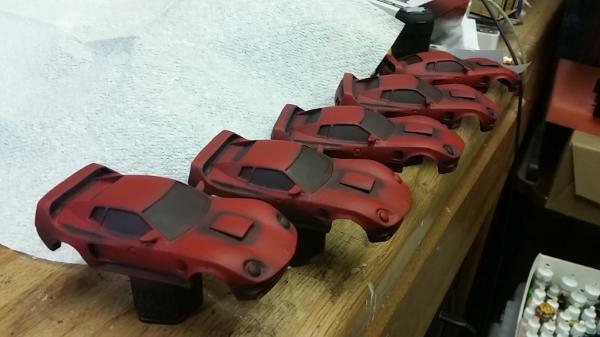 That should be an interesting project to get all those guys painted that fast. I do like the custom parts and the poses are very cool! Looking forward to seeing you there in person! 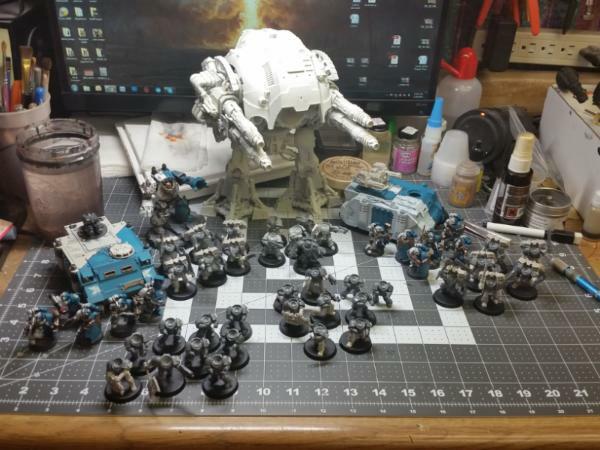 Good luck with the completing all your stuff before Adepticon. Reminds me of some of my worse college procrastination occasions. Glad to hear the Shapeways icons are working well for you. I’m definitely looking forward to seeing how the errants turn out. Have a great time at Adepticon, please have some drinks on me, you deserve it after those amazing leviathans. That walking monstrosity looks amazing. Very much looking forward to seeing you paint that up. Sun-depticon V : Or, How I Learned to Stop Painting and Enjoy the Build! 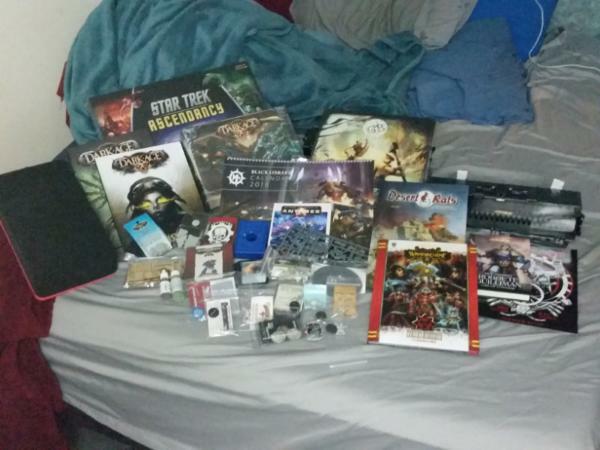 Here is a shot of everything I'm bringing to Adepticon. Should be able to manage up to 1850- maybe 2k if I play the fliers and Devastators. 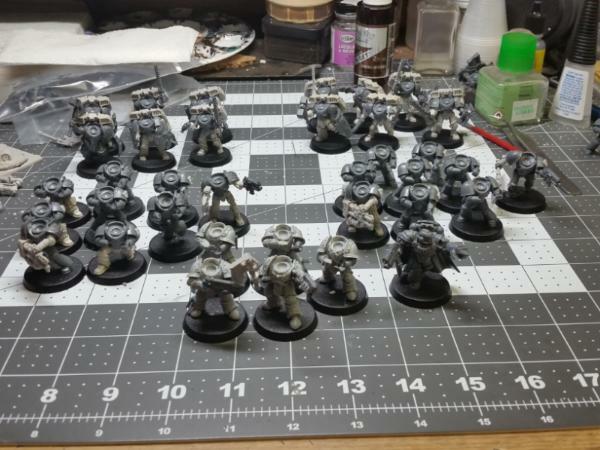 I know that a couple of the Sternguard need bases, but thats something Im going to take care of this year at Secret Weapon. Going Desert Bases on these guys! The Titan is a project all of its own, and really needs special attentions. And so I bid you adeiu! 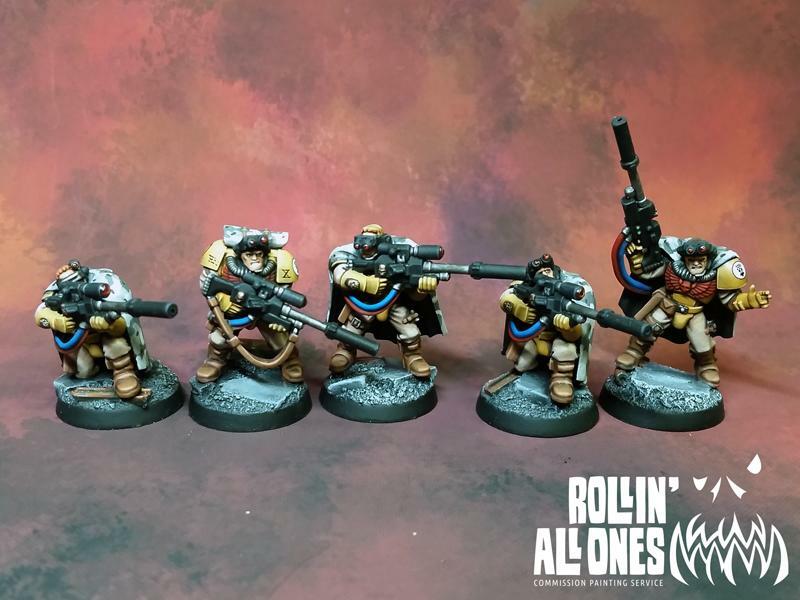 See everyone at Adepticon!! Have a wonderful time sir, scouts are looking fantastic. Scouts are beautiful Ramos, well done. 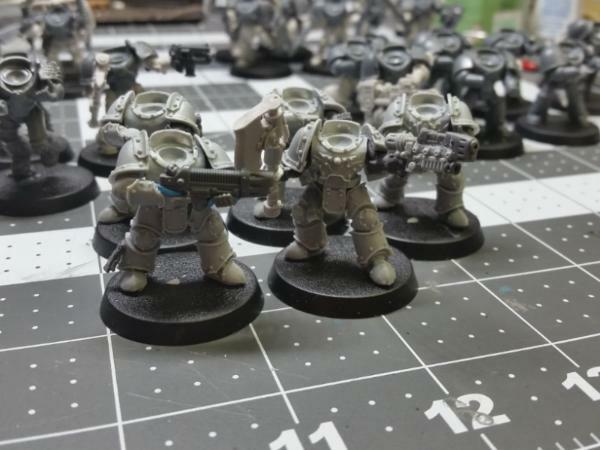 Also nice to see your marines get some love, even if they aren't all painted yet. Be great to see you again! Hope we get a game in. PS: I love the fact that all your marines are headless... reminds me of a Dr. Who episode. @Cam: Gracias!! Expect the usual smattering of pics during/after the event. @Gits: Hah, yeah... I just had too much on the plate this past few months.... shoot the whole last year really D: Next year's goal is to get myself a totally painted army!! And you bet we're gonna get a game in- I'm looking forward to it. I have to learn how to play 8th, after all! As to the headless marines... Hah! Yeah... A side effect of painting in sub assemblies! This way I can get the split to look right on their faces and backpacks, which are otherwise rather blocked off. All a work in progress!! The Scouts turned out amazing, Ramos! I look forward to seeing you in person at Adepticon. 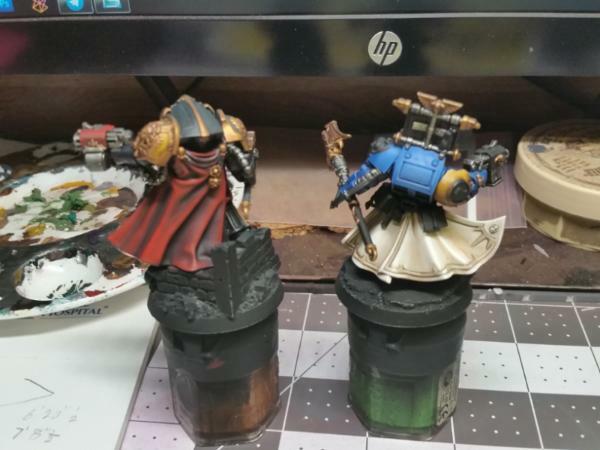 Just a quick check-in update here to say that Adepticon is finished and Im back to work! What an awesome event... I dont think I've ever been kept so busy! Ill have to pop in later to post my own limited pics. I just have a few this year! Needless to say, I got some focus on some personal projects as well as an update to a couple others down the pipe... Tzeentchian Creature Caster mini is in the queue and looks sooooo nice!! 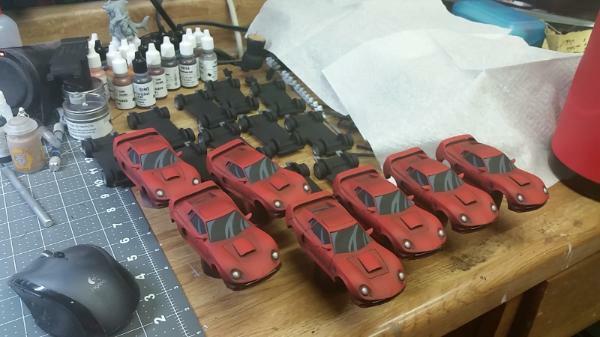 Almost as soon as I got back Monday night, I set to work on my next project- A couple months ago I was commissioned to paint up a bunch of Buffs (the little red cars) for Kickstarter backers. This was put on hold in order to prep for Adepticon and the Fists army, but now that the event is over I gotta get cracking on these. Compared to the 40k minis, these are considerably easier to paint, so even doing a dozen of them (! ), it shouldnt take terribly long. Also in this shot are a number of resin bases I got for my Marines Errant. I'm going to be rebasing them all on Desert bases, with windswept dust and everything. Should give a nice contrast with the white and blue! Was great gaming with you again. We had a blast with Xwing. Looking forward to updating Knight Fight for the masses next year as well as the new Modcubes to use with it. Get to painting so you are ready for next year! Alright, so IM not dead, lets get that out of the way first! Cripes, been a long while since I poked my head in here... Sorry about that, guys! I have been keeping busy painting, though... Just slacked off updating you guys here. Still a fair bit to go, but starting to make decent progress again! Good to see progress. Those cars are magnificent. Although I think I preferred them before the gloss. 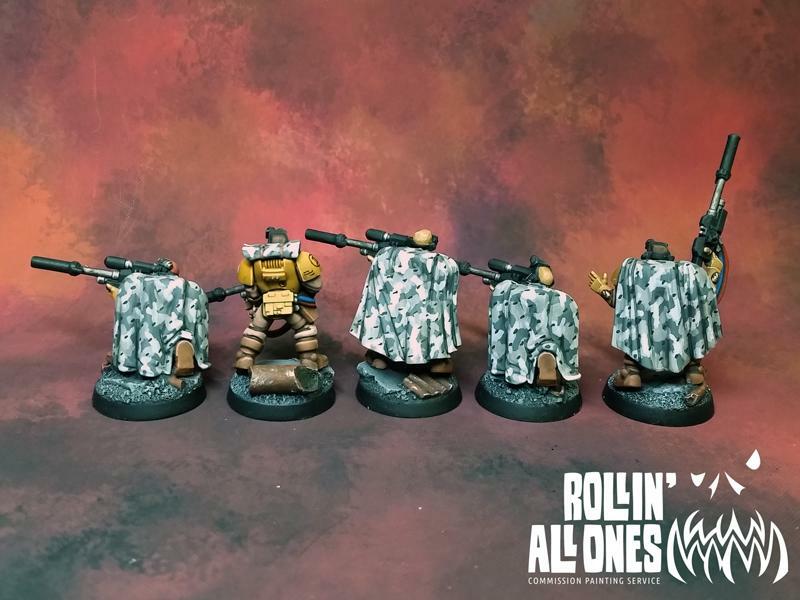 Imperial Fists look excellent, the librarians cloak is really, really good. The cars are beautiful. The IFs look fantastic as well. Nice handling of the gold and black. The job you've done on those cloaks for the characters is just amazing. Enough superlatives for one post? Glad to see you back alive and kicking. 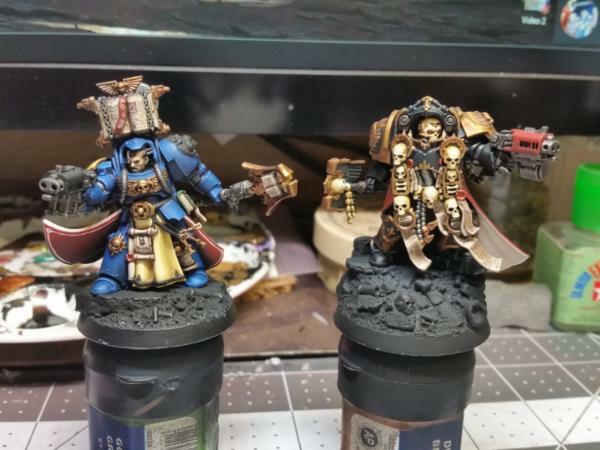 I have to echo the praise for the new models particularly the cloak of the librarian and the vellum. Love the look so far and can’t wait to see how the completed models come out. 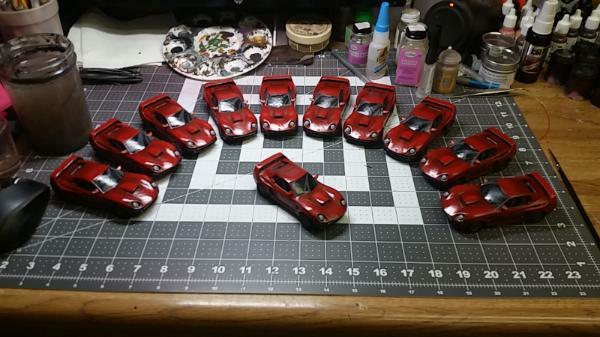 Whole fleet of cars . They look great. Fists are fantastic too. 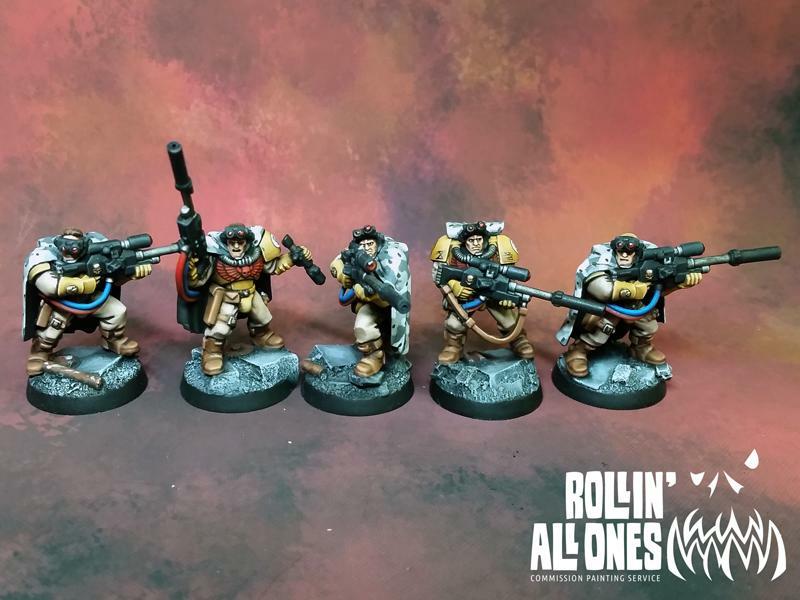 Always nice to see a mob of yellow marines. I’m glad your not dead, I WAS worried the wallpaper finally got you though. I had to put something on them, though. It was a bit of a panic moment though... Turns out the primer I used didnt key in, so when I put my matte spray (a rattlecan) on the test mini, the paint just started to peel away!!! 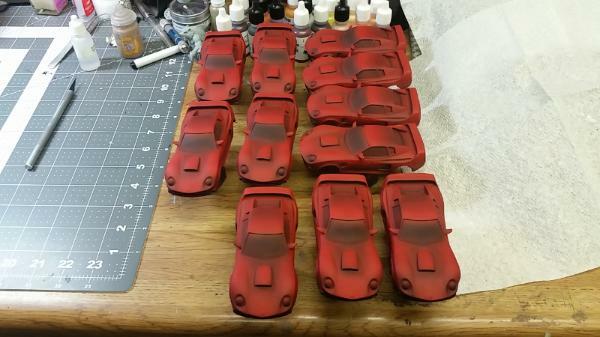 The gloss was the only thing I had readily available that I could send through my airbrush and that wouldnt curdle the paint. @Alb: Hey thanks man! YEah the parchment bits were actually a bit of an experiment. Just messing with feathering colors out, getting them just the right consistency... Moreover than that, a big part was going back to the darker color to touch up the blends. 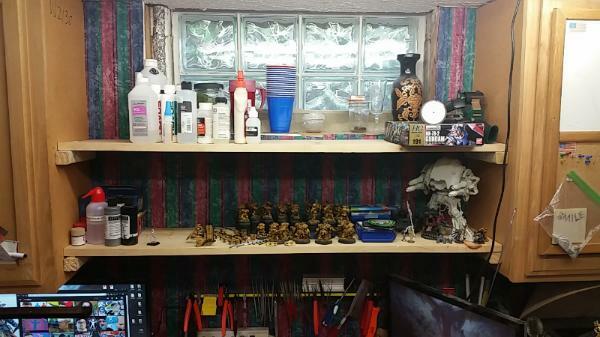 And Thursday while I had the day off, I finished a project that I had been meaning to take care of for years... MORE SHELF SPACE! Very simple affair of a pair of 4' long 1x10's set atop fence posts screwed into the cabinets. End result is a beautifully massive storage space. 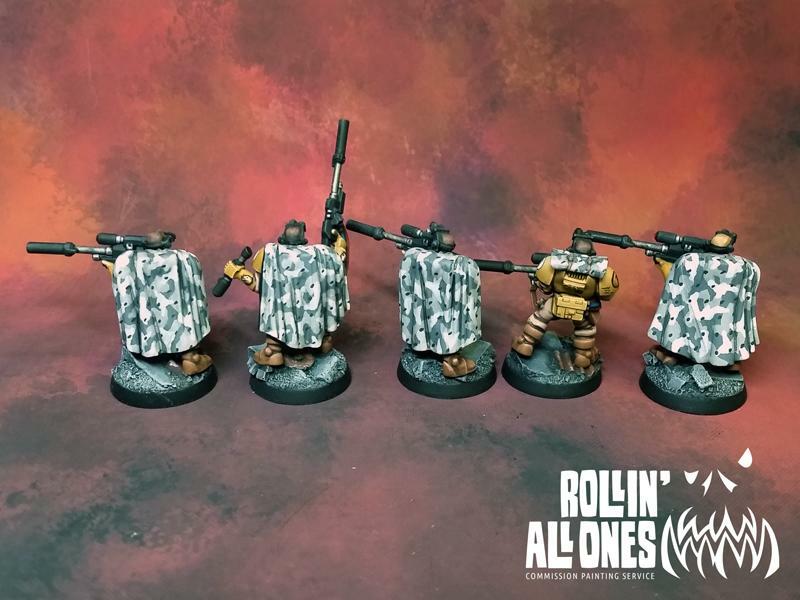 At some point, there need to be SM scouts with camo cloaks like your wallpaper. That sounds like the best idea for some ME sniper scouts.